Rumalia oilfield in Southern Iraq aims to become one of the largest producing oilfields in the world. The provision of Source Water is key to achieving this objective. One of the major source water import pipelines is coming to the end of its asset life. In order to both guarantee existing and increase production a replacement pipeline is required. HWH were engaged (post concept to work) as part of an integrated client project management team with IOC staff in order to deliver the pipeline. 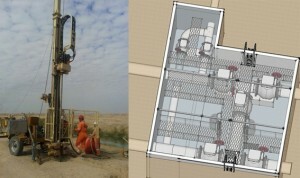 HWH undertook the role of Project Management Consultants for the IOC in the development of 80km twin 48” water pipelines in Southern Iraq, crossing external oilfields, complex existing infrastructure, developed inhabited areas.